Maybe it's because I was on vacation and actually slowed down to take a look at my surrounding for once. But I was amazed at all the amazing flowers and plants on the island! The leaves were so lush, the blossoms so vibrant - it took my breath away. If I had the guts, I would have snuck some back with me through Customs just so I could enjoy a little piece of that beauty a tad longer. 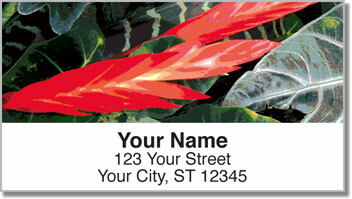 Tropical Flower Address Labels from CheckAdvantage feature stunning photos of four different exotic plants. 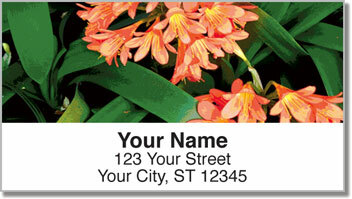 Use them to add life to your letters and packages, and save time as well! 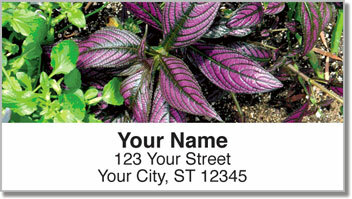 The tedious task of writing your name and address by hand is no more thanks to a self-adhesive backing! 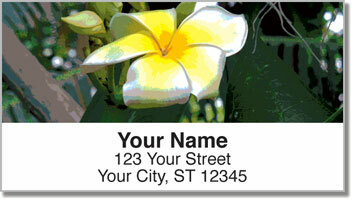 Get your own Tropical Flower Address Labels now! Order them with matching personal checks!